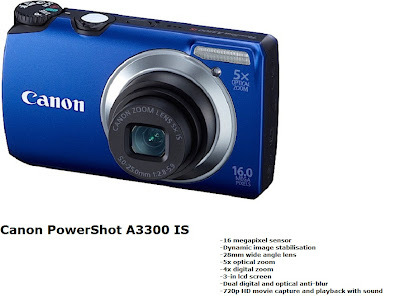 Canon PowerShot A3300 IS review - this affordable 16 megapixel compact digital camera offers good image quality and some nice features. The 5x optical and 4x digital zoom and the dynamic image stabilisation help you get the best for you pictures. One of the good features of the Canon PowerShot A3300 IS is that it can record nice quality HD (720p) movies with sound. Not all cameras in this price range offer that though it isn't such a special feature. 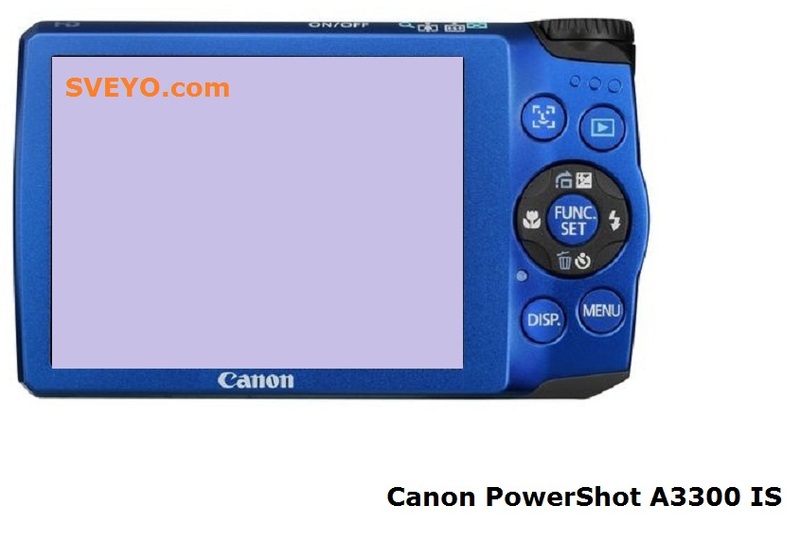 Canon PowerShot A3300 IS also features smart auto and easy modes which can detect 32 scenes. The price of the Canon PowerShot A3300 IS is around £70 (in UK).